Manashosting offers the most comprehensive set of managed services in the industry. No company can match our depth of services and our expertise at layer of your business computing structure. This broad range of managed services means significant and noticeable advantages for our clients. Not only can we tailor services such as Cloud Hosting, Virtualization and Colocation, for your changing needs as you grow, but we have a support team in place that can help you with any issues you encounter along the way. And the support comes from seasoned engineers who have years of experience working in different environments. Best of all, every managed service includes our signature “High-Touch” approach – a consultative service that supports your infrastructure at every phase of implementation and use. Every managed service we offer starts with the best vendor resources available, then we add unmatched system designs and continually refine our operations through testing. But technical expertise isn’t sufficient for a quality business solution — you need management expertise as well, and we offer this human resource to each of our customers. Our customer feedback over the years has confirmed the value of this approach. Computer security is like any other kind of security – you need to be aware of the basics and follow good advice, but the details are best left up to professionals. Security is simply too complex, too dynamic, and too important to be done as a sideshow in your daily business. Manashosting Security Solutions professionals will improve your IT security while simultaneously freeing up your in-house IT personnel to contribute to your business goals. The result is better security and an improved bottom line. We have the resources to provide you with world-class expertise and unparalleled customer service. We regularly support our clients’ regulatory requirements in demanding fields like financial services, healthcare, retail, SaaS and more. With a managed security service from Manashosting, you get an initial vulnerability assessment, ongoing threat detection, regular vulnerability testing, on-demand response to any incidents, and any other tools you require to help you identify security threats and deal with them before they occur. If a problem does occur, you’ll have less stress and a quicker return to normal business knowing that you have a dedicated security solution in place. Our data center team works with you to make sure you always have a cost-effective solution that meets your evolving business needs. “Storage” isn’t really the right word for what modern businesses do with their data. You don’t need your data “stored” somewhere inaccessible; you need it to be safe, cost-efficient, manageable, reliable, and most important, accessible 24/7. With Manashosting storage solutions, you can benefit from expert storage options that deliver flexibility, reliability and efficiency. This starts with the support team we put in place. Our engineers can implement custom systems to meet your business objectives – both now and as they change in the future. We will look at your entire computing environment to determine how you can get the best performance for the lowest cost. Our managed storage solutions are second to none, and include: Cloud Storage, Managed SAN/NAS, Data Deduplication, Replication and Backup. If you haven’t considered tiered storage, talk to one of our experts to see how much it could save you month after month. Ongoing management is critical to maintaining the health of your system, no matter what OS you choose. But all too often, this task falls to a sys admin or network engineer who has many other responsibilities and areas of expertise. This is a potential single point of failure for your entire system. Even if your in-house personnel can avoid problems, the ongoing challenge of balancing maintenance and troubleshooting with development and revenue-generating activities means that you’re not using your human resources in the best way possible. And since your in-house staff specializes in the things that run your business, it’s inevitable that they’re working with less than perfect knowledge of the OS system and the issues that surround it. We don’t have that problem. We bring the absolute best engineers in the business to the task of keeping your OS environment healthy, clean, and supporting your business endeavors. This is why OS management services from Manashosting are such a valuable addition to your services portfolio. Network services are easy to overlook – when a service like Telecom or Managed Internet is well-designed and wellrun, it delivers consistently excellent performance day in, day out, for months on end. You don’t have to deal with configuration, management, maintenance or troubleshooting issues – you can be sure it will work anytime you need it. This is a real technical and management achievement, so take a minute and consider what that level of reliability and performance would mean to your business. Manashosting Network Services will always be there to support your business, and our people are part of that service. As and when there is a change in the market we upgrade and migrate and introduce new technology to the hosting packages. Manashosting has integrated the advanced technology control panel especially for low budget web hosting packages. It becomes easier to manage millions of domain using such technology even reducing man power cost. As a result Manashosting has the ability to utilize the power and flexibility of such technology and provide packages at a throw away price. Hence its quite obvious clients can avail packages at low price compared to other hosting concerns. Manashosting is a reliable web hosting company of India, committed to provide its customers with the most efficient and effective web hosting service possible. Our affordable price plans, stable and secure servers, efficient technical support, and a wide range of other attractive hosting features have made us a leading web hosting company in India. Your search for quality, result-oriented, and budget web hosting solutions ends here. One of the most important criteria that you need to consider is website space. While building a website, it is essential to ensure you have enough website space for everything you wish to put on it. The company delivers high-quality service at lowest price and provides various web solutions for individuals and businesses. The major services of the company includes, Unlimited web space and bandwidth hosting, reseller hosting, free domain name registration, Dedicated hosting, VPS hosting, etc. We offer web hosting packages which suits everyone’s need. In the history of web hosting India, Manashosting is the only company who came up with the thought of providing unlimited space and bandwidth at an unbelievable low price which was a successful venture in the market when implemented. Till date our clients are happily utilizing the resources allotted along with packages for their web solutions. Clients now can register domains with various extensions available to opt from. Manashosting being one among the top web hosting company in India is providing Windows and Linux web hosting at the cheapest rate by integrating one of the best hosting panel technology to its web server. Our clients can avail exclusive multiplatform reseller web hosting packages as well at an unbelievable price. Advanced technology has helped Manashosting to be one among the best web hosting service provider in India. Though it’s a Bangalore based company, however Manashosting has expanded its business all over India. There are a huge number of clients based on Delhi, Bangalore, Hyderabad, Mumbai, Chennai, and Calcutta. Being an Indian web hosting company Manashosting has always made it sure that the packages goes as per the best web hosting features combination which can satisfy the clients. In the domain of web hosting Manashosting has reached it culmination by giving cent percent satisfaction to its clients and still looking forward to add up new facilities which one still can’t think beyond in the current web hosting market. Starting from attractive domain prices to web hosting products Manashosting has always taken up the challenge to help out its clients. In web hosting market of India Manashosting has always taken up the task to bring in new technologies that simplify the task of website creation as well. Manashosting has implemented advanced technology in the web hosting panels to help its clients utilize such features which eventually has helped them in their website development. Manashosting being one among the top web hosting companies in India has kept its focus on the ideology of a true entrepreneur and left the client with abundant choice to opt for the best service. Web hosting reseller packages or web space reseller’s packages have been in the best interest of the Indian resellers which they have utilized by associating themselves with Manashosting. They have created their own brand in the market and consistently they have received prompt and positive response and feedbacks from their clients. 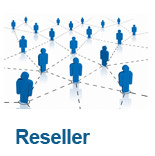 Resellers get multiplatform benefits including Windows hosting Linux hosting and java hosting.